November 8, 2012 By Allyson 16 Comments This post may contain affiliate links. Read my disclosure policy. 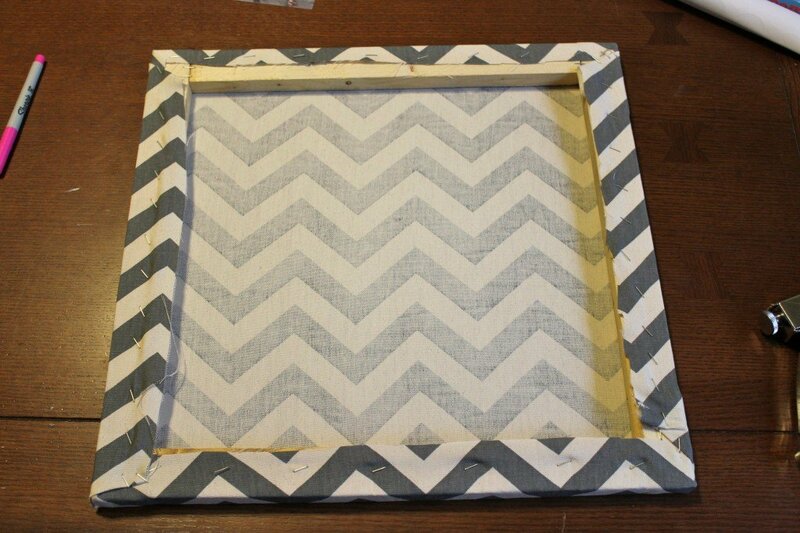 When I found some super cheap grey chevron fabric at Hobby Lobby ($4 for a yard!) I decided I had to buy it…even though I had no idea what I would use it for. I knew something would come up, and the fabric was really great quality duck cloth, so I knew it would hold up well for any project. 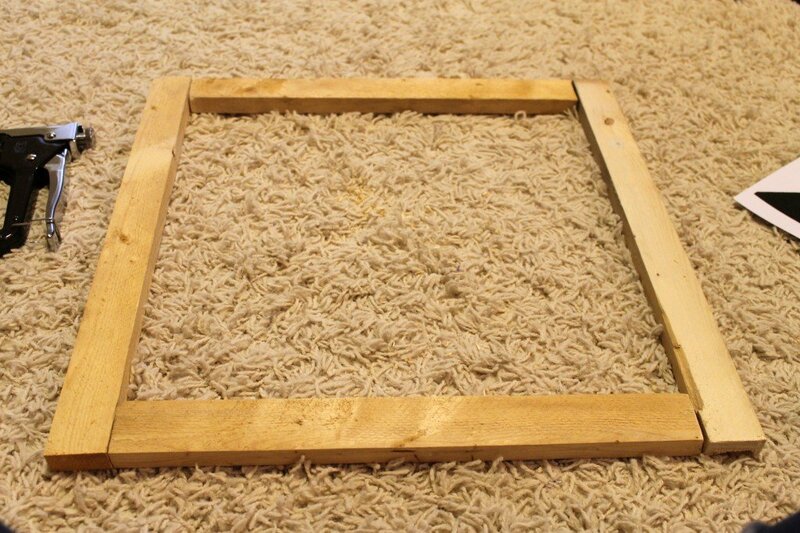 Then, when I was cleaning out the garage a few days later, I noticed I had tons of thin scrap pieces of wood, and it clicked that I could easily make my own canvas borders, and then use the fabric to cover it…perfect! After you have measured out and cut your pieces (if you need to do that), then line them up to the desired shape. 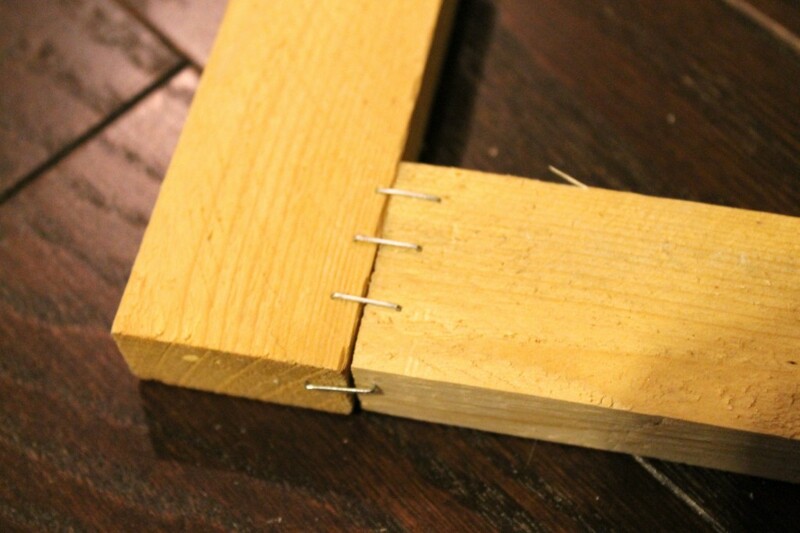 Also, if your wood pieces have any chips or anything like that, make sure those pieces are facing the inside, so that your outside line is straight. Next, staple the sides together. I went all around with the staples to make sure it was held together really well. I made two, because I had a project in mind…. Okay, next we get to the fun part! Adding the fabric. Place the fabric face down, and lay the wood form on top. Trim the fabric so that there is enough to overlap when pulled around each side (probably 2 inches is more than enough on each side). Since I decided to use this chevron print, I had to make sure that the pattern stayed even while pulling it tight, otherwise it would have looked funky. You can avoid worrying about this if you use a print that isn’t symmetrical or geometric (although, these types of prints are awesome!). I started with the bottom, stapling the fabric evenly across the bottom. 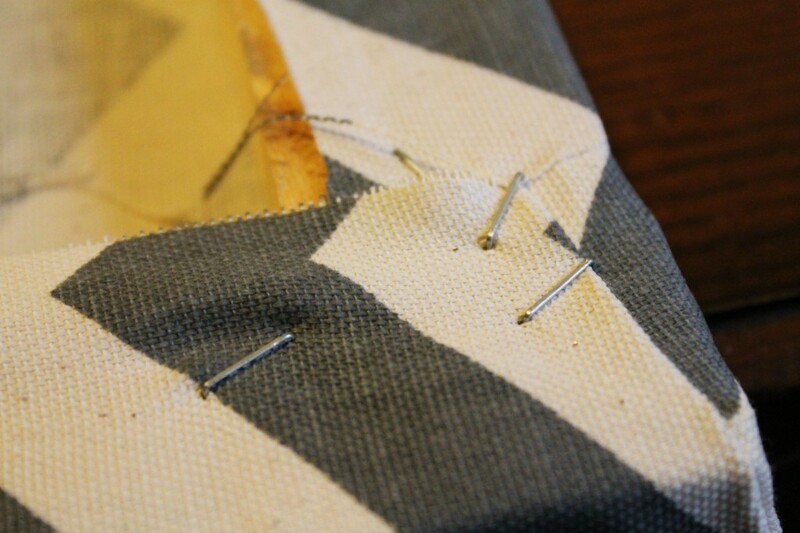 Then I went to the top, and pulled the fabric very tight and stapled that evenly. Next I did the corners, and folded them the same way I would to wrap a present. 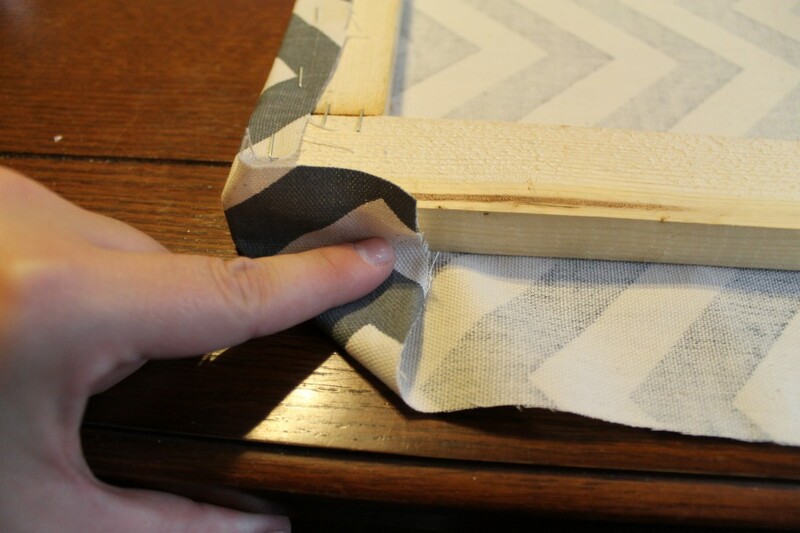 You want to make sure there isn’t bulky fabric in the corners because that won’t look great. 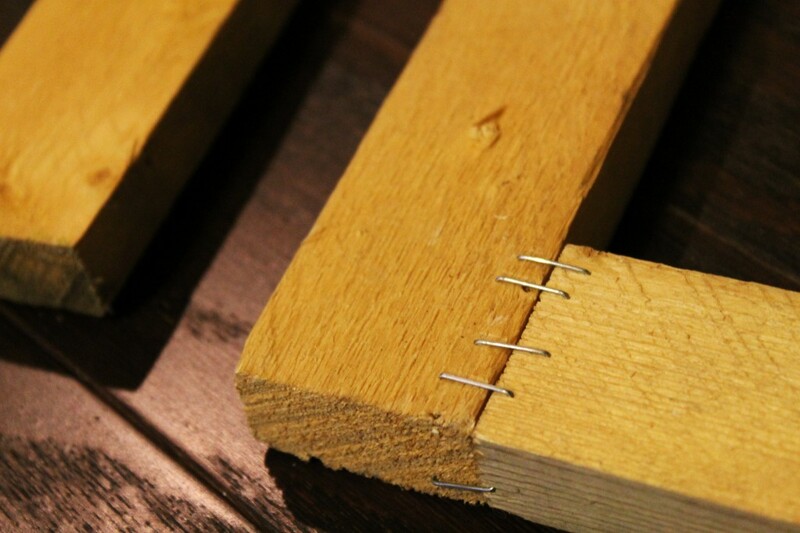 Staple into place…staple staple staple! After you do the corners, finish stapling the sides, taking care to pull the fabric tight, and keep it lined up if you have a pattern that needs to be straight. How easy is that? 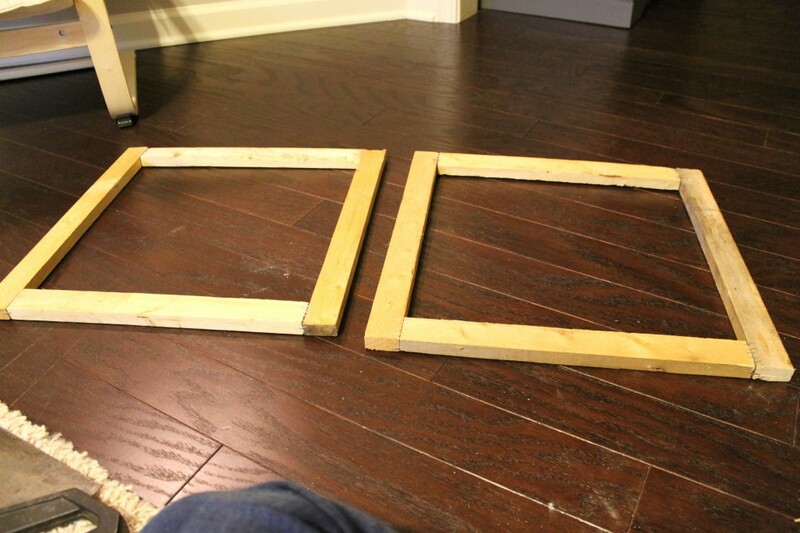 For under $4 I made 2 custom canvas’s (which I used for another project, soon to come!)! 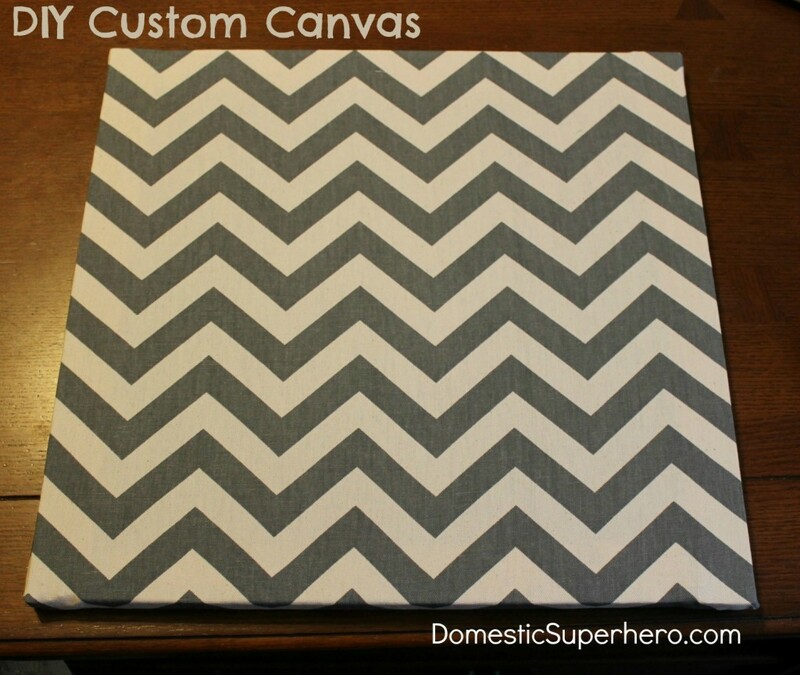 If you don’t want to build your own, you could always buy the canvases and then cover them using the same steps to have a custom fabric canvas, but it would be more expensive. 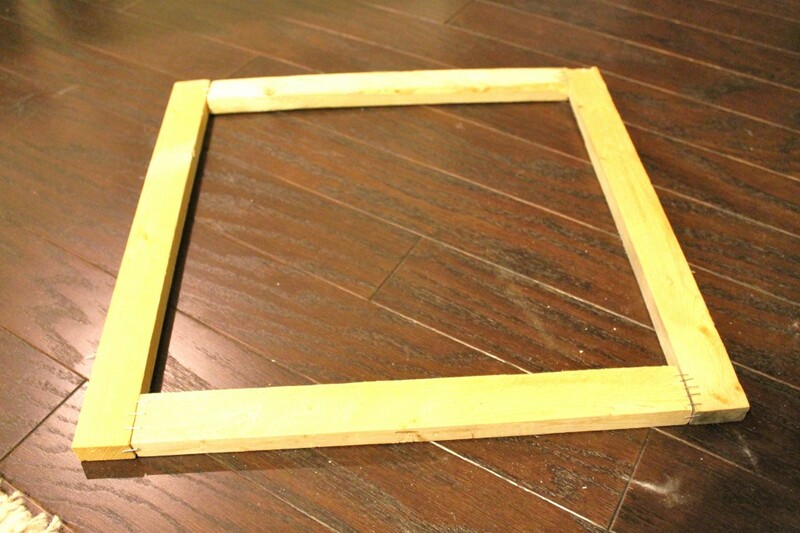 This was a really easy project and super cheap! 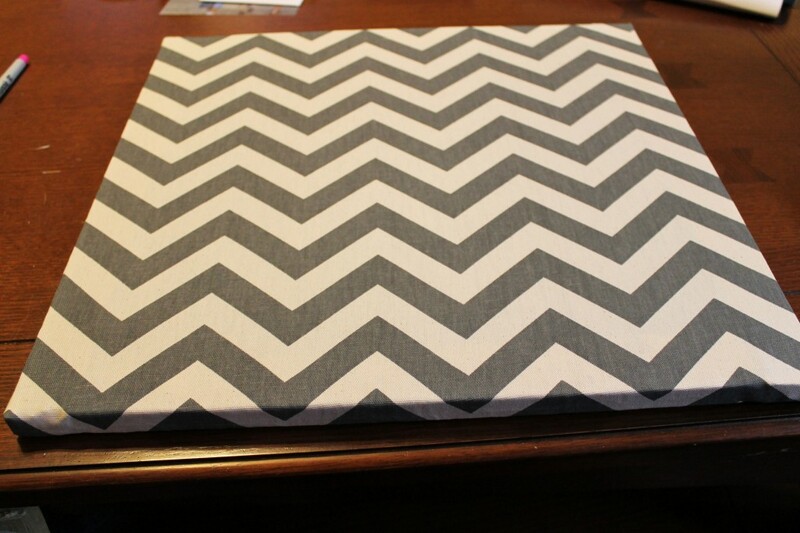 See what I did with these custom canvases here! I even had extra fabric left over, and used it to make an awesome no-sew basket liner for my new TV Console! Thanks! I did measure them out to be the same size so I could make a square. Then I cut them with a hand saw, and then barely sanded the cut edges so they would be even. That’s so easy and adorable! It’ll look amazing with your new pillows! Thanks girl!! I am happy you stopped by, I was beginning to think everyone has forgotten about me! Thanks, Heather! I know, it was so easy and so cost effective! I can’t wait to make some more! Thank you for stopping by Antonia! 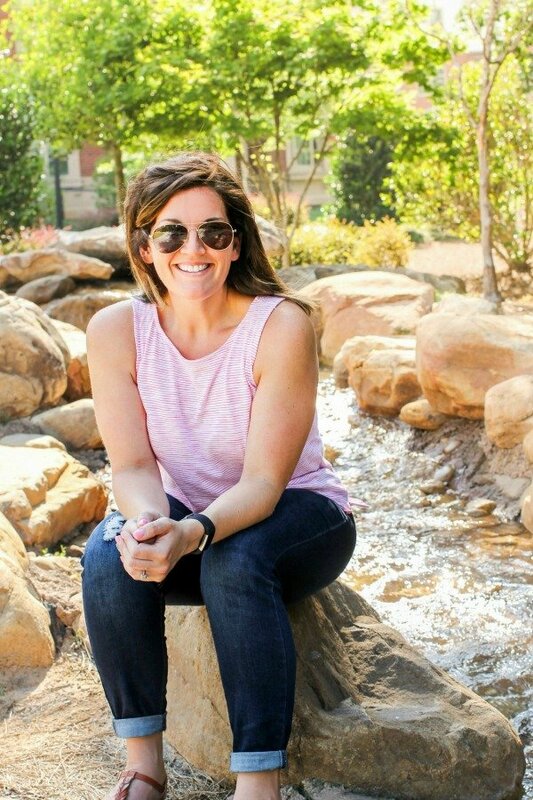 Be sure to enter my most recent giveaway!! I found a cute canvas set on Etsy for $92!!! No way I could justify spending that. So after some searching I found your page! 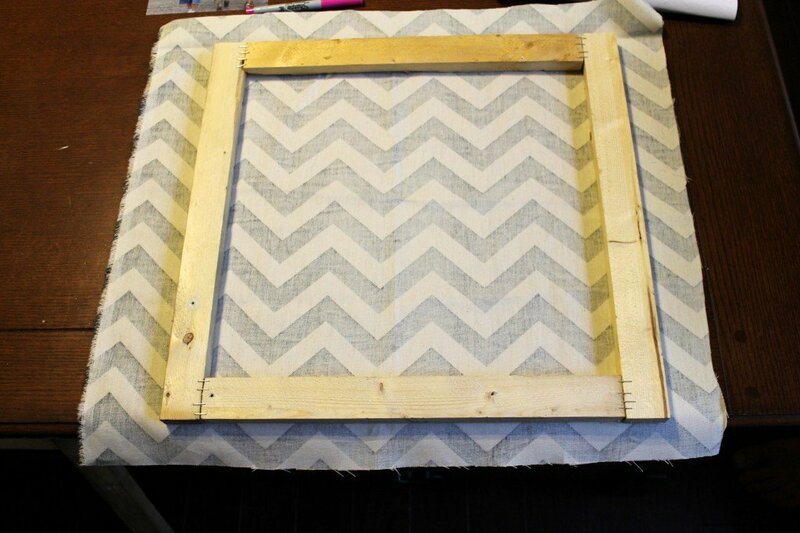 I was super excited to put it all together though I was hesitant to use the staple gun. Haha! Turned out great! I made 3. Cost about $40 all together for the wood and fabric. I’m new to DIY crafts and I came across your pin and thought this would be a good project for a beginner like me. So, I just bought materials to make this and plan to do the monograms (which I reviewed on your other pin). Just wondering what size you made yours (8 x 10; 11 x 14; etc. )?